The lobster from Ogunquit Lobster Pound in Ogunquit, Maine. U.S. senators from New England want to grant the lobster another national day of celebration. 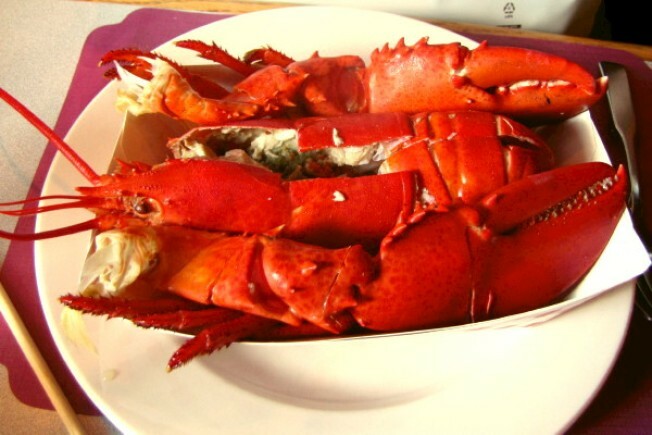 They've introduced a resolution to once again designate Sept. 25 as "National Lobster Day" to honor the economic, historic, cultural and culinary contributions of lobsters. The resolution is being led by Maine's U.S. Sens. Angus King and Susan Collins. They say the resolution not only honors the lobster, but also the people who harvest, cook and ship it. U.S. Sen. Jack Reed, a Rhode Island Democrat, says he expects the full Senate to again unanimously approve it, as a fun, tasty way to honor lobstermen and their catch.